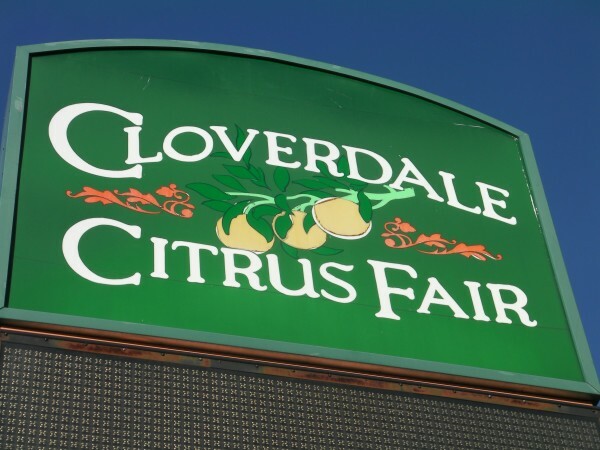 CLOVERDALE, Calif. – The 2019 San Francisco Chronicle Wine Competition generated more critical acclaim for the Pacific Northwest, and much of it stems from College Cellars of Walla Wallaand alumni of the community college’s vaunted winemaking program. Leading the Northwest highlights at the largest wine competition in North America was Aaron Peet, winemaker for Cellardoor Winery in Linconlville, Maine. Peet, who graduated from Walla Walla Community College’s Institute for Enology and Viticulture in 2008, earned best of class for the Cellardoor 2017 Riesling and 2017 Chenin Blanc. His work also was awarded an impressive trio of unanimous double gold medals for his 2015 Pinot Noir, 2017 Syrah and 2017 The Buoy Red Blend. There were five gold medals, too. 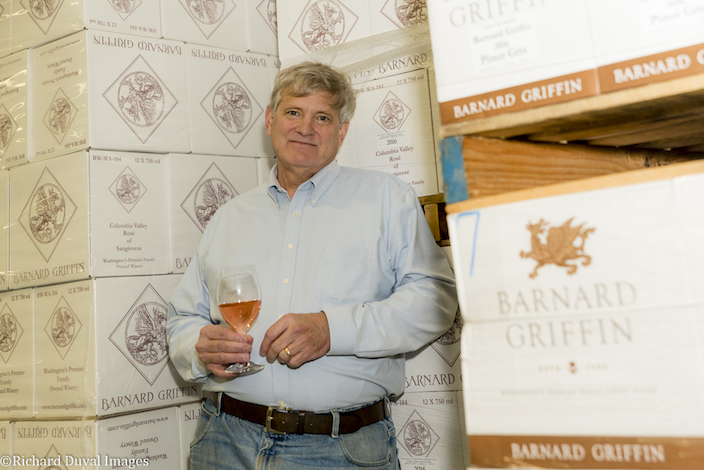 It marked the 13th time in 14 years that Barnard Griffin’s pink has merited a gold medal or better at the nation’s largest wine judging. A bottle retails for $14 and is scheduled to be released at the Tri-City winery on Valentine’s Day. One of Northwest’s most respected brands, Walla Walla Vintners, led Washington state producers with two best-of-class awards at the Chronicle judging. 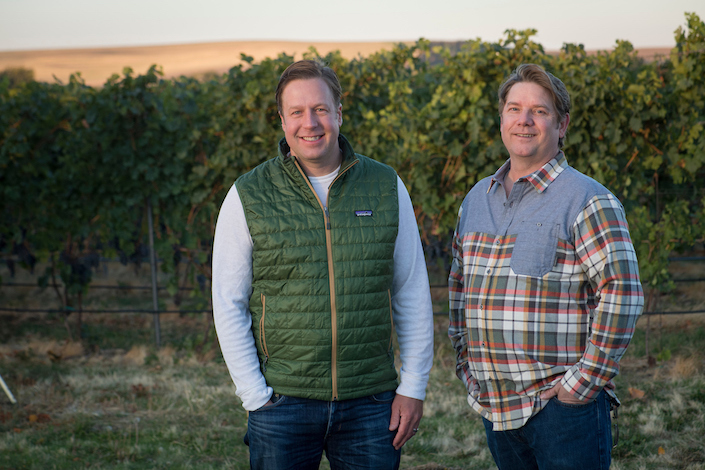 Director of winemaking William vonMetzger and vineyard manager Judah Pira both are products of College Cellars and were hired by co-owners Anderson and Gordy Venneri, who sold the iconic red-roofed winery they launched in 1995 to the Haladay family in 2017. There also were gold medals for Walla Walla Vintners’ 2013 Cut Bank Estate Vineyard Vottavo Red Wine and 2015 Vineyard Select Cabernet Sauvignon. Tertulia Cellars in Walla Walla used estate grapes to earn three gold medals, led by a best-of-class for its 2015 Cabernet Sauvignon. Ryan Raber, the winemaker, and vineyard manager Ryan Driver both are College Cellars grads, and their 2016 Estate Ryans’ Reserve Red Wine brought home a double gold medal. Their small-lot 2016 Tierra Labrada received a gold in the category for Cabernet Sauvignon priced $95 and above. 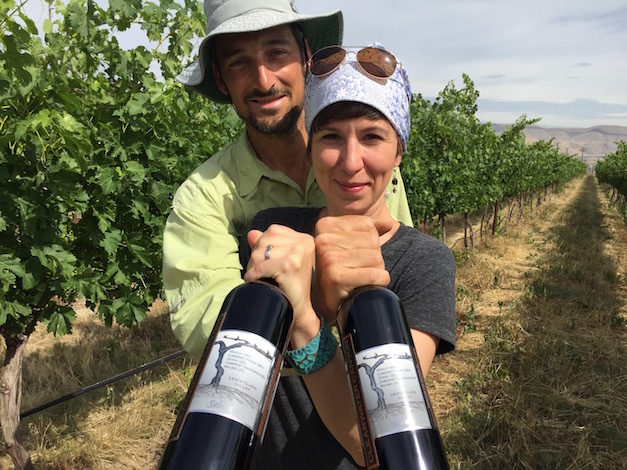 Jason Fox of Lagana Cellars in Walla Walla and Class of 2013 earned a double gold for his 2016 Breezy Slope Vineyard Pinot Noir and gold for the 2016 J&S Vineyard Cabernet Sauvignon, both grown in the Walla Walla Valley. Marcus Miller, winemaker at his family’s fourth-generation vineyard and Airfield Estates in Prosser, Wash., was part of the class of 2004 with vonMetzger. Airfield Estates was awarded a pair of gold medals for 2016 estate red wines at the Chronicle. Lake Chelan native Shane Collins, longtime winemaker at Tsillan Cellars, helped with the viticulture for the 2017 vintage prior to taking over as general manager/winemaker at nearby Rocky Pond Winery. Tsillan Cellars earned a double gold for its 2017 Estate Gewürztraminer. In Oregon, Chemeketa Cellars earned gold medals for two of its student-produced wines at Chemeketa Community College in the state capital of Salem. 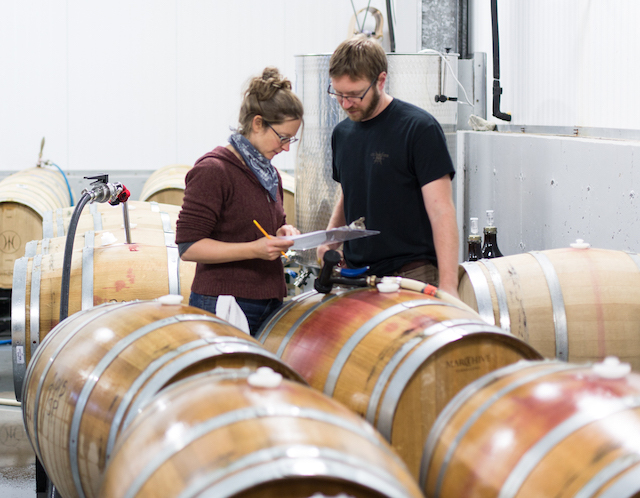 “It is a big motivator for our whole Clearwater Canyon team to see our wines do so well at one of the largest and most prestigious competitions,” said Umiker, who used fruit from the historic Lewis-Clark Valley for two of her gold medals, all of which were vinified on her family’s century farm. Gregg Alger’s work under his Huston Vineyards brand led to a best of class for his 2017 Chicken Dinner White, a double gold for his 2017 Chicken Dinner Rosé and a gold for his 2016 Malbec. In total, the Gem State combined for 15 gold medals, doubling its total from the previous year as part of the Idaho Wine Commission’s Going Beyond Gold program seeded by results from the Idaho Wine Competition. 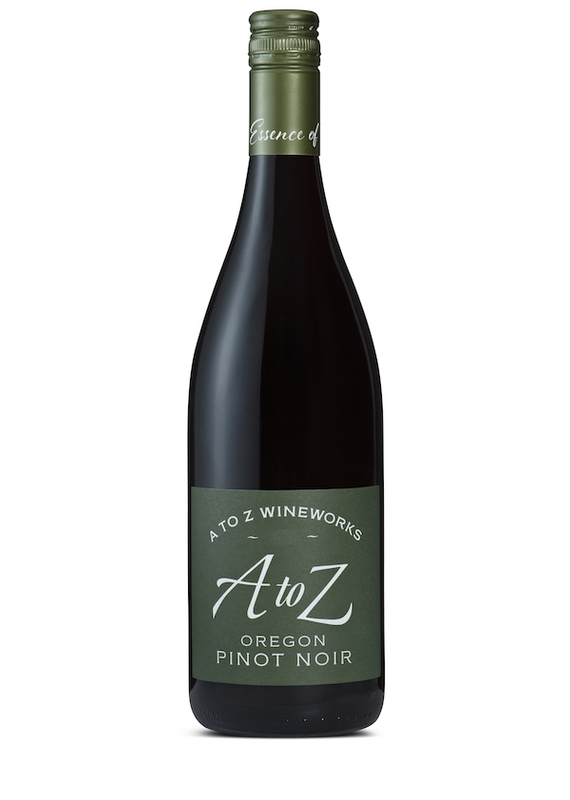 A to Z Wineworks, Oregon’s most prolific wine company, earned gold medal or better with four wines that retail for $20 or less, led by the best-of-class 2016 Pinot Noir. Alloro Vineyard winemaker Tom Fitzpatrick used his own boutique label — Élevée Winegrowers in Dundee – and worked with Bjørnson Vineyard in the emerging Eola-Amity Hills for the other best-of-class Pinot Noir out of Oregon. Elk Cove Vineyards and the Campbell not only won best-of-class for its 2017 Estate Pinot Gris ($19), but they also earned a pair of gold medals for work with Pinot Noir. King Estate also merited three gold medals. Throughout the state, Oregon amassed 36 gold medals in the Pinot Noir categories. Southern Oregon wineries accounted for six BOCs, 12 double golds and 36 gold medals. DANCIN Vineyards near historic Jacksonville can boast six medals of gold or better, three for Pinot Noir and two for Chardonnay. And yet, the region particularly shined with Spanish varieties pioneered by Earl Jones of Abacela. StoneRiver Winery & Vineyards in the Rogue Valley won two best-of-class awards for Tempranillo. Augustino Estate and Vineyard garnered a double gold for Tempranillo, and Abacela grabbed a double gold for its 2017 Estate Albariño. Among the Schmidt Family Vineyards three golds was its 2017 Estate Albariño. Belle Fiore Winery in Ashland near the Oregon/California border has seen two winemaking changes in the past three years, but the baton-passing in 2016 from Kathe Kaigas to Heather Nenow to Rob Folin last year combined for five gold medals at Cloverdale – including a double gold for Nenow’s 2017 Estate Chardonnay. Rogue Valley producer Del Rio Vineyards cruised with four gold medals. Schultz Wines, a young producer near Grants Pass, turned heads with three standouts – a best-of-class Merlot and double golds for Chardonnay and Syrah. Ledger David Cellars and Reustle-Prayer Rock Vineyards also received three golds. Stephen Reustle and winemaker Wade Smith showed their versatile talents north of Roseburg by winning with Pinot Noir, Syrah and Tempranillo, all estate wines from the 2016 vintage. In 2017, Reustle-Prayer Rock Vineyards was Wine Press Northwest’s Pacific Northwest Winery of the Year. The Northwest wine industry’s largest company, Ste. Michelle Wine Estates, received five gold medals or better for red wines, including three for Cabernet Sauvignon. There was a best-of-class by Chateau Ste. Michelle for its 2015 Canoe Ridge Estate ($28), gold for the Columbia Crest 2016 Grand Estates ($12) and gold for the rapidly growing INTRINSIC Wine Co., and its 2016 Cabernet Sauvignon ($22). Highly awarded red blends were won by 14 Hands and Seven Falls. Katie Nelson, who took over last fall as senior director of winemaking for Columbia Crest, had a hand in a pair of gold medals for her previous employer, Charles Smith Wines, with the 2016 Boom Boom! Syrah and 2015 Chateau Smith Cabernet Sauvignon. Bacchus Capital Management’s two Pacific Northwest brands combined for three gold medals. Dobbes Family Estate in Dundee, Ore., won for its Wine By Joe 2016 Pinot Noir ($19) and Wine By Joe 2017 Pinot Gris ($14), while DeLille Cellars in Woodinville, Wash., earned praise with its flagship red wine – the 2016 D2 ($45). Bob Bullock’s Eye of the Needle Winery in Woodinville cashed in on his continued practice of contracting with multiple winemakers, which led to gold medals for a trio of nonvintage red blends – the Bellisimo Diavolo ($50), The Eye ($14.99) and double gold for the Little Italy ($14.99). Ron Bunnell, former head winemaker at Chateau Ste. 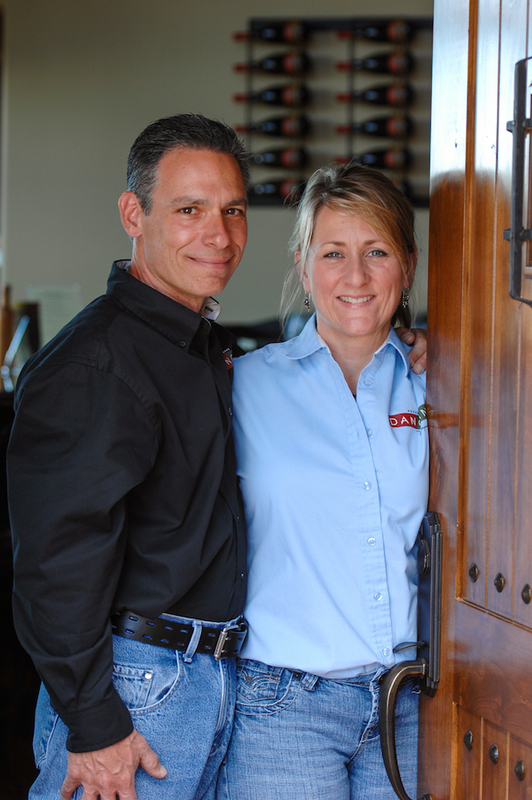 Michelle, hauled in double gold for his 2013 ALX Red and 2014 Cabernet Sauvignon as well as gold for the 2013 Lia and 2014 Red Heaven Vineyard Syrah. All are under his Bunnell Family Cellar brand, which is available at his on-premise Wine o’Clock Bistro and Wine Bar in Prosser’s Vintners Village. This week’s results for Cellardoor Winery should come as no surprise to West Coast judges. In 2017, Peet’s bottlings earned a pair of best-of-class awards and a double gold at the San Francisco International Wine Competition. Last spring, they picked up a double gold and a gold at the Cascadia International Wine Competition using grapes grown in Washington state and trucked to Maine. Peet, a native of Maine, recently began his second decade as head winemaker for owner Bettina Doulton, a former mutual fund manager at Fidelity Investments. Den Hoed Vineyard in the Yakima Valley contributed the Riesling while the Chenin Blanc came off Reed Vineyard near Pasco, Wash. Pace Vineyard in the Yakima Valley produced the Chardonnay and Syrah. Grapes for his Bordeaux-inspired red wines hail from Shaw Vineyard on Red Mountain, Six Prong in the Horse Heaven Hills, Les Collines in the Walla Walla Valley and Gilbert family vines on the Wahluke Slope. While Peet pulled the Pinot Noir from Vista Verde Vineyard, an estate planting in San Benito County for famed California winery Williams Selyem, grapes for the gold-winning Cayuga traveled only about 500 miles from the Finger Lakes. The annual public tasting for the top entries from the San Francisco Chronicle Wine Competition is Saturday, Feb. 16 at Fort Mason near the Golden Gate Bridge. There should be quite a queue at the Cellardoor Winery table.